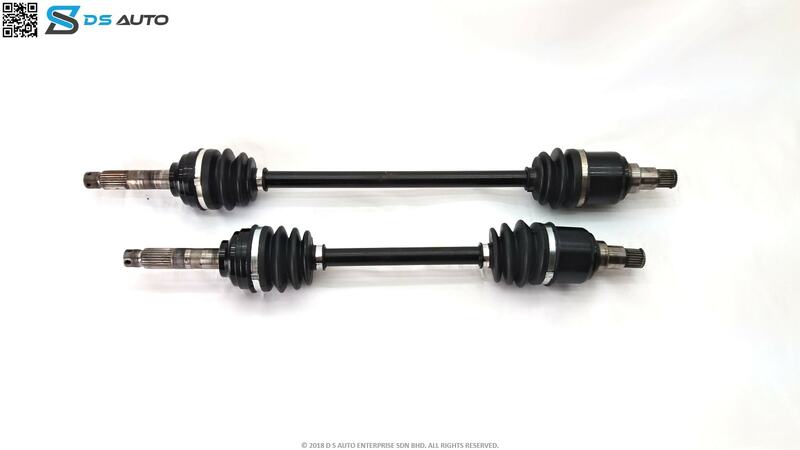 This is Perodua Kancil drive shaft set, showcasing both the drive shafts from the side view. This is Perodua Kancil drive shaft set from the top view. 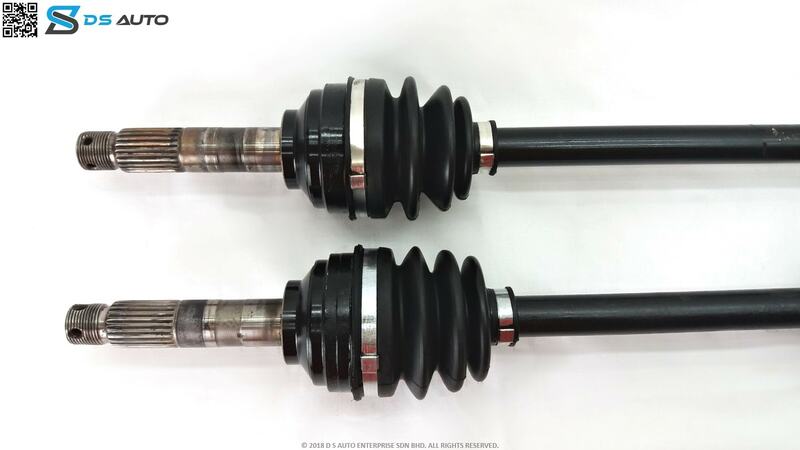 This is Perodua Kancil drive shaft set, showcasing the outer constant velocity joint. 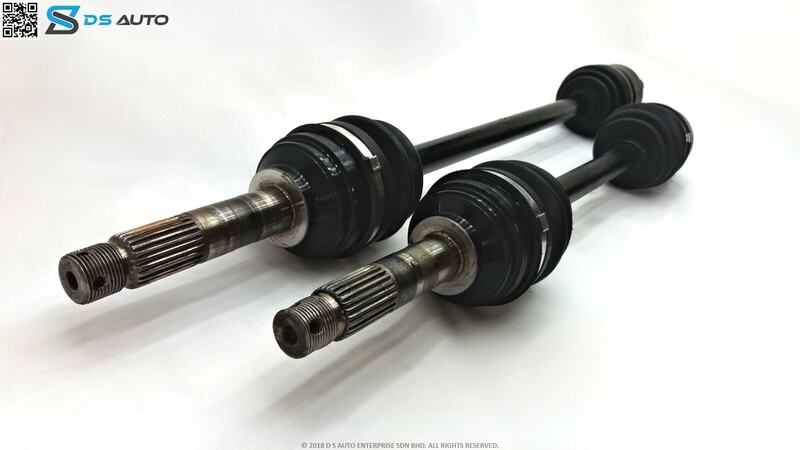 This is Perodua Kancil drive shaft set, showcasing the inner constant velocity joint. Is your Perodua Kancil giving you problems? Looking to get your drive shaft replaced? 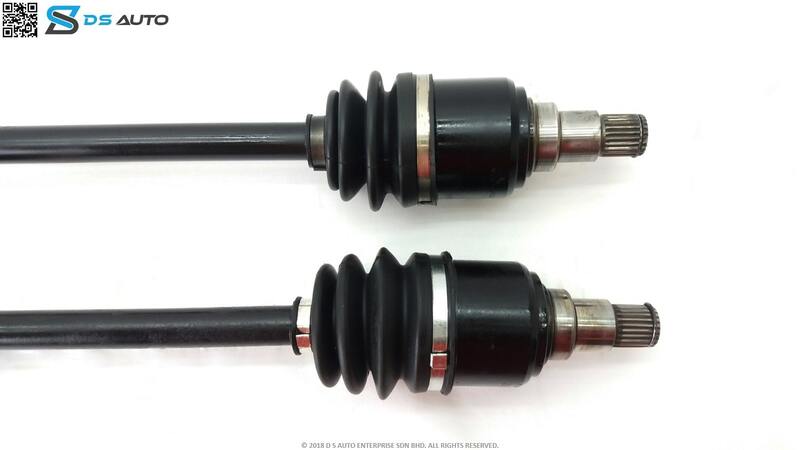 Speak to D S Auto‘s customer service now to get your Perodua Kancil drive shaft. Perodua Kancil is a mini car manufactured by our very own Malaysian automobile maker Perodua. The name “Kancil” has a special meaning to it. It means mouse deer in Bahasa Melayu. The car model was produced from 1994 to 2009. It was the first car ever made by the company. The Perodua Kancil had a hatchback body style with five doors. It is a rebadged Daihatsu Mira, more specifically the Daihatsu Mira L200 version. It came with two different engines, a 660 cc version and an 850 cc version, and then further divided into four or five-speed manual transmissions. The Perodua Kancil EZ was launched in January 1995 with an automatic transmission. In 1997 and 2000, the Perodua Kancil was given a facelift with new design for the larger front grille, and different wheel caps designs. On the other hand, Perodua Kancil EX extra was launched in May 1998 with a 660cc engine and 5-speed manual transmission. The Perodua Kancil EZi was launched in 2003 with an automatic transmission and an electronic fuel injected engine. Soon after, Kancil Special Edition version also hit the market starting from July 2005. Perodua finally ceased the production of Kancil on 20 July 2009. The Kancil was sold in three variants: Kancil 660EX, Kancil 850EX, EZ and Kancil 850EZi. The 660EX and 850EX had three-cylinder carbureted in-line engine and power output of 31 PS 923kW and 37PS (27kW) respectively. Both came with five-speed manual transmission. The 850EZi has three-cylinder fuel-injected in-line engine with a power output of 49hp (37kw). It came with three-speed automatic transmission. The 850 EX and EZi Kancils have power windows and door mirrors. How much did the Perodua Kancil cost? The Kancil recorded huge success from the date of its launch. By early 1997, about 100,000 Kancils had been manufactured. The figure increased to 250,000 in 1999. A total of about 722,220 Kancils were built before the company discontinued the model. Three-cylinder fuel-injected in-line engine for newer variants. Front bumper with larger indicators. Body-color bumpers and rub strips. There were no direct competitors to the Kancil because of its affordability. However, the main competitor for Perodua in Malaysia is Proton. Foreign manufacture like Toyota and Honda are also main competitors. The Kancil had generally good reviews from owners of the car. It was very affordable, easy to park and drive on narrow roads. Some owners of the car reported some engine instability when driving at speeds above 100km/h. The car was good for short distance trips and city driving that do not require driving at high speed. The car also had very good fuel economy.